Hugo has a few loves in life: dogs, cars, buses, stars and balls. It’s a given, then, that when I was rifling through my fabric and stumbled across this Spot material I couldn’t pass it up. I was given this fabric for my birthday by a lovely friend and I hadn’t sewn with it because I couldn’t quite decide what it should become. I knew exactly what part Spot was going to play in our lives. Spot shorts for the boy who loves puppies. A perfect fit. As soon as we put them on this morning Hugo was thrilled. He sidled up to me and gave my leg a giant hug. He melts my heart. 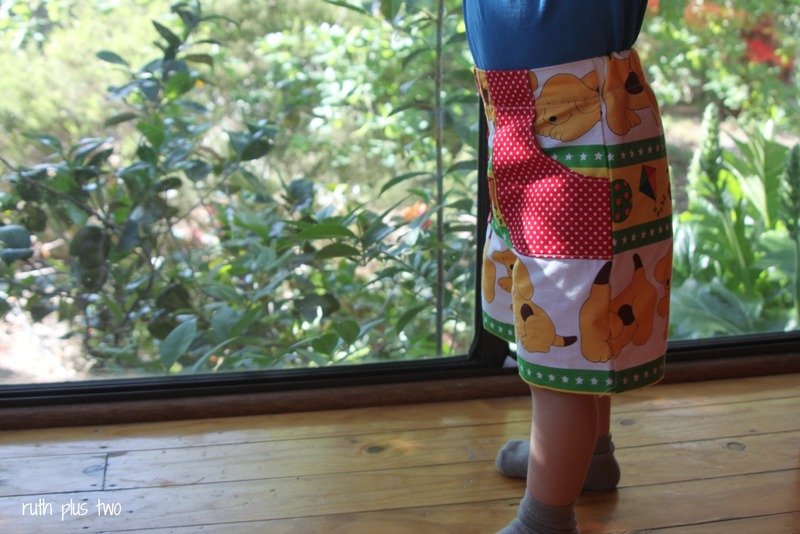 I chose MADE’s KID short pattern which I’ve blogged about before (and here). It’s straightforward, unisex, with a wide size range and versatile mix and match options. This pair is flat fronted, boy length with pockets. I made the size two even though Hugo measures for the 18mth size – I find the flat front option slim fitting and like the kids to have space to move (and grow). I did use the 18mth elastic length to make sure they stay up! I found the pattern placement a bit of a challenge, but I think they turned out okay in the end. Spot is an awkward size! Hugo doesn’t stand still. Ever. So all I’ve got are some photos of him on the run and pointing out his stars. They are cute. I think Hugo is cuter. 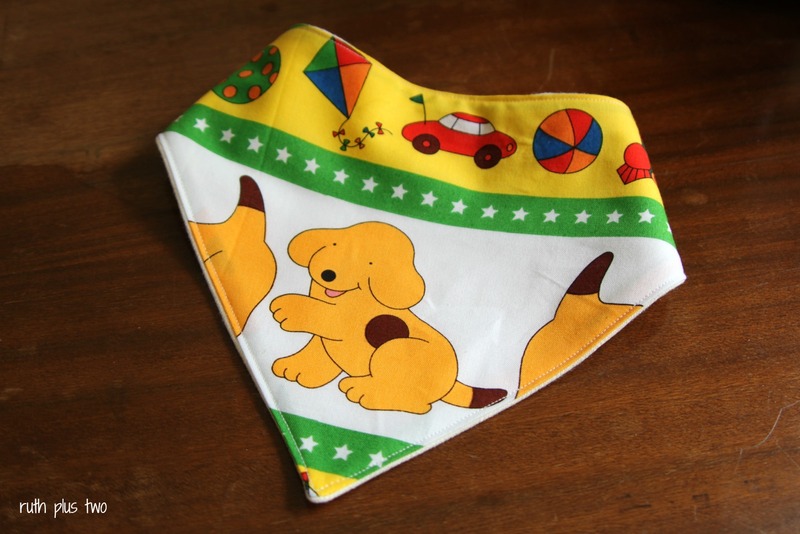 I had some scraps so I also sewed him a dribble bib (pattern here). 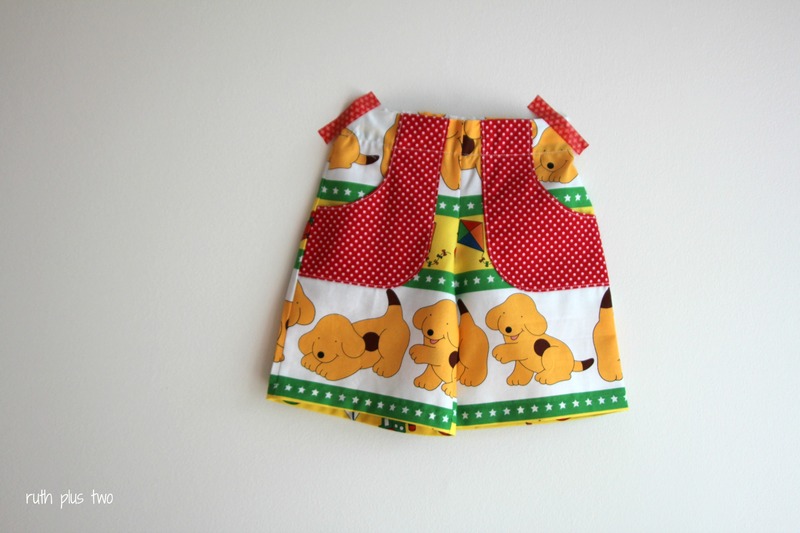 This entry was posted in clothes for children, creating for boys, Kid's Clothes Week, MADE, sewing, stash. Bookmark the permalink. Awesome! How did you sew your seams like that? They are so small and professional looking! Very carefully 🙂 I just use the sewing machine foot edge as a guide.